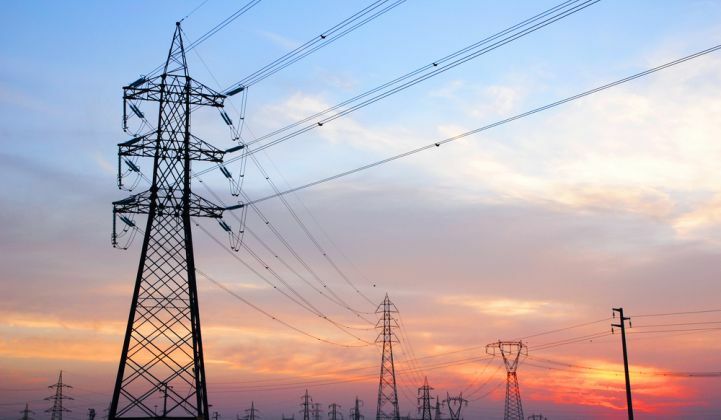 The utility industry is rallying behind "electrification of everything." The shift toward the electrification of everything is "going to be profound" for the utility industry. That's according to Mike Howard, president and CEO of the Electric Power Research Institute, which is holding its first-ever international electrification conference this week in California. “The value of electricity is more important today than it’s ever been. The value of electricity, even 10 years from now, and what it does to help all of us, is going to be profound," he said, opening the event. How do you know when a popular idea has taken root in the utility industry? Throngs of energy wonks. The conference is bringing together 1,800 people from utilities, tech companies, regulatory agencies and NGOs to talk about electrification. And utility execs are enthusiastically embracing the electrification vision. “This is the right time for us to come together and figure out how to respond to this crucial moment in the history of our industry and of society in general,” said Pedro Pizarro, president and CEO, Edison International, the parent company of the electric utility Southern California Edison, in a keynote address. “The benefits to customers from electrification are obvious: less money spent on fuel for their cars and homes, and cleaner air for everyone," said Pizarro. "We are seeing transformative trends that are all converging — climate change, air quality, the transportation revolution, the accelerating process of digitization and automation," he said. The electrification conference builds upon EPRI’s work to promote what it calls “efficient electrification.” In April, EPRI released its first U.S. National Electrification Assessment. In the most ambitious scenario, the assessment projected a reduction in total final energy consumption of as much as 32 percent, and economy-wide reductions in greenhouse gas emissions of up to 67 percent, in the United States by 2050. For the utility executives on the opening plenary panel, the shift to electrification is all about the customer. “Our role as a utility is to be an advocate for customers,” said Terry Bassham, president and CEO of Evergy, Inc. Listening to customers is taking Evergy in a new direction. Bassham said the role of call centers is waning, as more customers pay bills or make inquiries online. “It’s a little reverse of what we’ve done in many industries from a customer perspective, but we think it’s a great opportunity to meet customers on a very personal level,” he added. In May, Evergy opened its first brick-and-mortar “Connect Center,” in downtown Kansas City, Missouri, where residential and business customers can make payments, resolve bill inquiries, or create an account. Customers can also get a firsthand look at an electric vehicle and charging station and learn more about energy-saving technologies such as smart thermostats or home energy management systems. “Our customers want choices. And we’re starting to see more and more of them make the choice to go electric,” said Edison’s Pizarro.